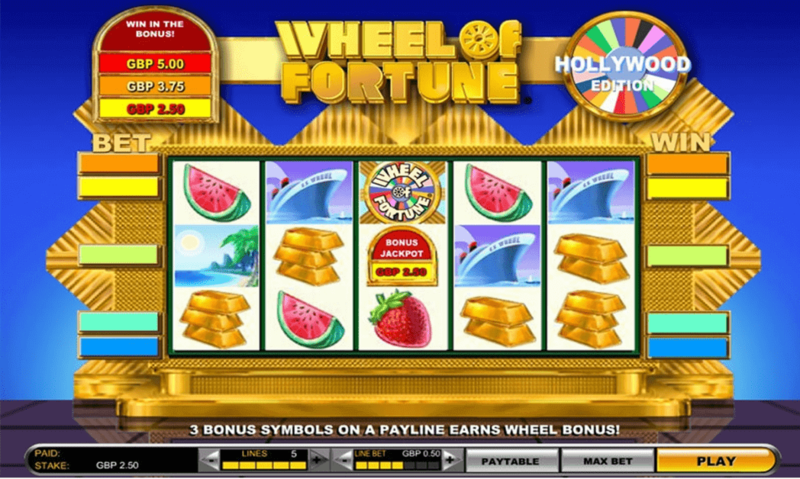 A unique combo of a classic video slot and one of the most popular games of chance, the Wheel of Fortune slot by IGT has a 5 reel structure and a return to the player rate that ranges from 92% to over 96%, depending on the game variant. So far, IGT has launched quite a few versions of this slot-wheel hybrid, each with a different payout potential, the number of pay lines and the set of special features, but with the familiar concept of the wheel. 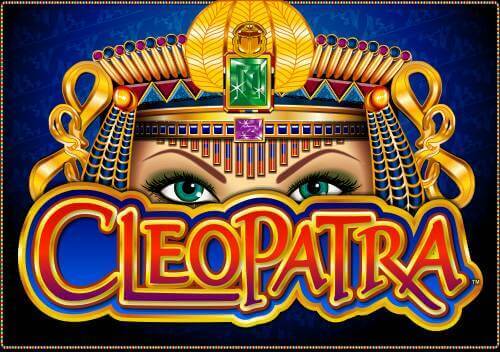 Creating a mixture of conventional slot machine features such as the fruit icons and placing it inside the TV quiz concept, has turned out to be a great success, taking the online gambling community by storm with its wide betting range and a pretty decent payout potential. The gameplay is simple enough – all one needs to do is click on the spin button and wait for the symbols to form the payable combinations. The minimum betting amount is 50 coins, but the player can go up to 2,500 coins, which will be especially appealing to risk chasers and players who are after higher money turnovers. With increasing the stakes and the coin value, the winning chances are improved significantly and all the multipliers fully exploited. The spinning button is placed just beneath the reels, in the centre of the screen. The other controls are placed on the left and right, allowing the players to manually adjust the coin value and the total bet they are willing to place on a single spin. The separate tab which displays the overall bet amount is located on the left, with additional tabs for the winnings and the player’s balance. Any spin can upgrade the gameplay and unlock the actual wheel, which will appear on the screen when the Scatter symbols land onto the reels. The wheel itself contains an array of different prizes that, depending on the player’s luck, can result in multipliers or even additional wheel spins for free. The most characteristic features of IGT’s Wheel of Fortune slot are Multiway Xtra Pays, that award the player for similar icons positioned anywhere in the adjacent rows. Should the player manage to land identical icons in a single row, any winning will be multiplied. 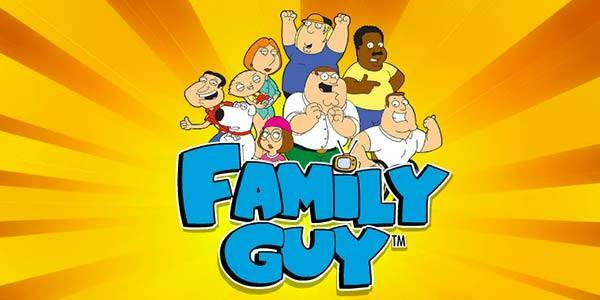 The payments and winning combinations follow 720 Ways Win pattern, thus practically eliminating the pay lines. The Wild icon will only land on reels two, three and four and can substitute all other Wheel of Fortune slot icons, with the exception of Bonus and Scatter symbols. As these icons can unlock additional in-games, the Wild symbol will not replace them in a combination and the player will trigger a bonus round instead. At least three of the Scatter symbols are necessary to activate the Mini Wheel Bonus, which can increase the coin value to x50 or even x3,850. The appearance of Bonus icons on the reels will initiate Triple Extreme Spin bonus – a picking game where one is asked to pick between several different envelopes, each presenting the player with an additional session of free spins on the blue, red and yellow wheel. Every colour has a different coin multiplier value: x30 to x1000 for the blue one, x100 to x5000 for the red one and finally, x2 to x10 winning multiplier for the yellow one. What makes Wheel of Fortune slot so special? You have watched the Wheel of Fortune show, now play the Wheel of Fortune slot game online. IGT has really hit the jackpot here, with an excellent 5 reel and 5 pay line slot, that is sure to please fans of the show and folks who just enjoy a good game. As the name suggests, this game travels to iconic American sites, which players can enjoy. It’s a ‘level’ game, so the more you play, the bigger chance you have of winning and the more features you will get to see. If you love all things stars and stripes, then you will love this game, as the symbols include several iconic American venues. The likes of Hollywood, New York, the White House and Mount Rushmore all appear. 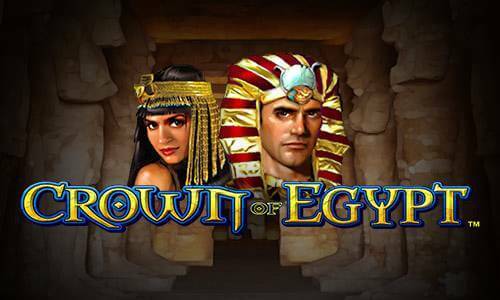 IGT know how to create an excellent level-based slot, which they already demonstrated in Nordic Heroes and they have done it again here. A ‘level slot’ basically means that as you play, you rise through levels and as you go through each level, there will be bigger and better ways to win. “How do we move through the levels?” you may be asking. The answer is that every non-triggering bonus gives you 1 fuel point and this fills up a gas tank, which when full, allows you to move to the next stage. Like any good journey, there are a few shortcuts. Get 3 Winnebago symbols on reels 1, 3 and 5 and your gas tank fills to the top and moves you along on your trip. Overall, this is an excellent game that will already look familiar to players everywhere. 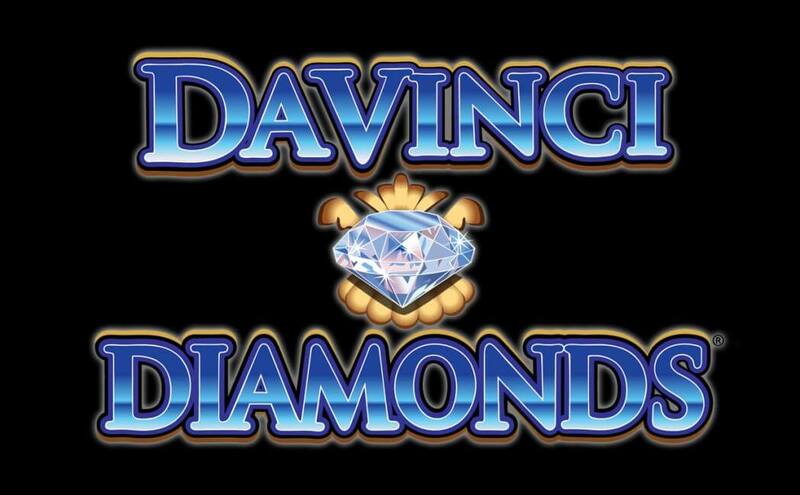 IGT has created an absolute gem of a game and one which will be considered a classic for years to come.